Originally built in 1916 as a printing house and converted in 1992, 355 Bryant St. is home to 44 residences in the South Beach neighborhood. Notable features in the building include exposed brick and timber details. Home sizes at 355 Bryant St. range from about 1,000 square feet up to just over 4,000 square feet. Homes are available in one- and two-bedroom loft-style layouts. Building amenities include a shared roof deck, while parking and storage are available for an additional monthly fee. 355 Bryant was an early conversion, finishing in 1992 and leading the way for a wave of conversion projects in the South Beach and South of Market (SOMA) area. It was originally built by noted San Francisco architect George Applegarth for use by a printing company. No parking in the building. Leased parking is guaranteed to owners at 355 Bryant in an adjacent building. Both the Oriental Warehouse and Capehorn Loft conversion buildings are nearby and offer conversion-loft homes with classic details. 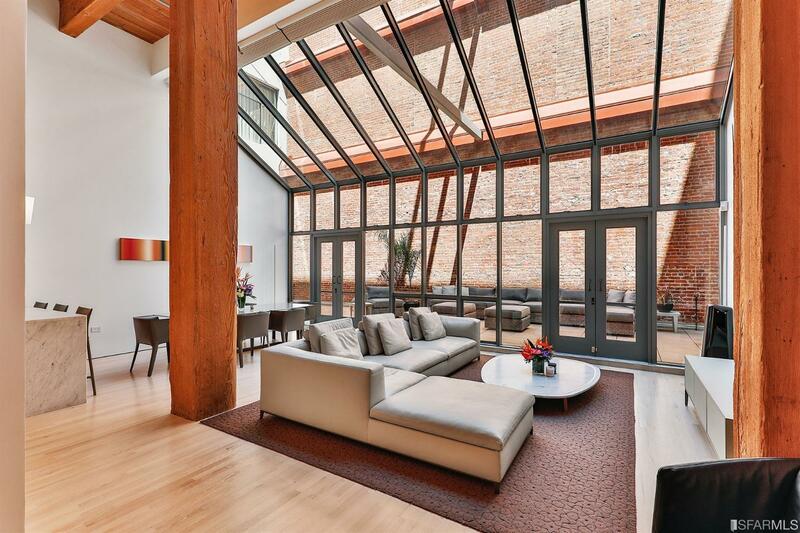 If you love the area but don’t want a conversion loft, The Watermark at 501 Beale is just down the street.